If I Could Get That One Drug for my Health! Health is only found through the abundance of life. This not only includes materials items, but also how you feel and the hormones that you generate by how you think. Otherwise known as the placebo effect. We have depended on modern medicine to relieve us of illness without consideration for the cheese burgers, sodas, cake, ice cream, and other processed junk food. We believe that if we do everything that our doctors tell us we will be healthy. But an invigorating, exciting, and healthy life is only accomplished through your thinking and how you experience your environment. All things are necessary for life: love, vegetables, meat, grains, water, air, sun, healthy environment, medical care, living in community, and attitude. What has happened to health in America as we are suffering from many ailments as we age? Not only do we suffer from ailments of chronic disease as we age, we are allowing our youth to age too quickly. The issue with health in America is specialization. Specialization by the institutions that are overseeing our environment and the things that we consume. Everyone thinks that the doctor can solve all of our problems of health, but he only acts in his area of specialty. I could list all of the government organizations and other institutions to show the conflicts. There is no one that has the priority of health. Government believes that the economy is the most important thing to provide you security and health. This priority is repeated many ways in food, medicine, and medical insurance. Think about the conflict of isolating people with Ebola exposure versus the economy. During the recent months, the economic loss from SARS was cited as the reason to not over react to Ebola fears by the head of the CDC. Consider the GMO foods that we are now consuming. How do these things get approved when no one really has control over them? 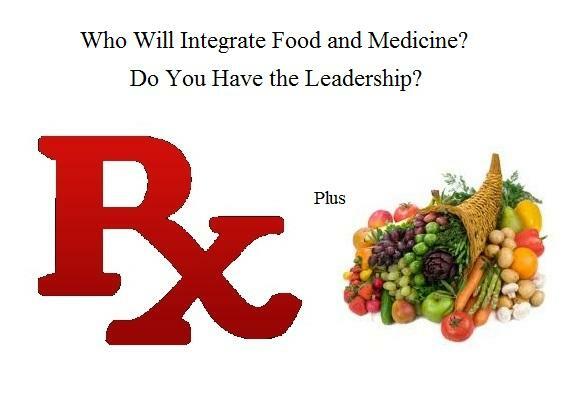 Who controls the food supply? It is the economic benefit of food companies and government that controls the food supply. You would think that the FDA would be in control of GMO’s. However, anything that is generally consider as safe is provided to you as a food. But what is safe? Does food that gives us calories in large quantities with the nutrients processed into unknown substances safe? Have you read a label recently on any processed food item and can you recognize all of the chemical compounds? This entry was posted in Healthcare, Nutrient Deficiency and tagged Food as Medicine, Healthy Ageing, Intergrative Health and Medicine, Nutriton by Mark Pegram. Bookmark the permalink.